For the first 16 IP on the SYS server, you would pay the setup fee only, afterwards the IP will be free alongside the server. The setup fee is a one off payment. The 17th IP onwards you would pay the IP every month you have the IP on the server. If you are not bought 16 IPs already, it's not going to be charged monthly. Those are only one-time setup payments. 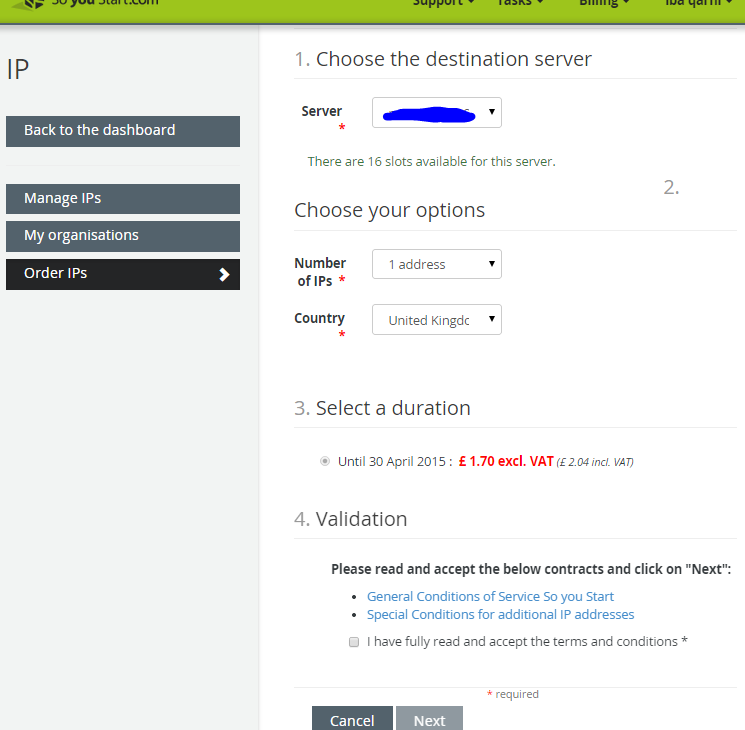 I'm used to the older version of OVH's panel and coming to SYS seems a little alien, trying to use the free 16 IP's advertised through out the site but can't seem to add them without being charged monthly? Is this fee a one off maybe? And I'm not charged monthly, its a little confusing.